When it’s time to hire a technician to assist you with your heating and cooling needs, you’ll want to work with the best one there is. Considering how many technicians are claiming to be the best, picking the right one is actually fairly simple. Take a look at their certifications. In this post, our HVAC maintenance experts at Bounds Heating & Air discuss why your prospective heating and cooling technicians must have a NATE Certification. NATE Certification: What’s It All About? 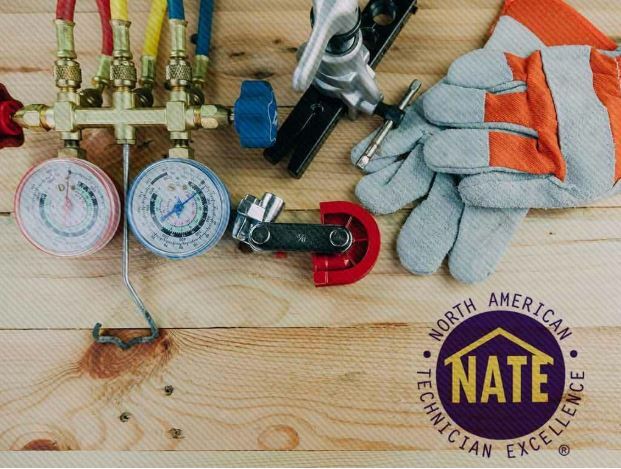 The North American Technician Excellence (NATE) is the country’s largest non-profit certification organization for ventilation, heating, air conditioning, and refrigeration technicians. Founded in 1997, NATE Certification tests are based on real world working knowledge of HVACR systems. For technicians to receive this coveted certification, they must prove their technical and practical knowledge through rigorous testing. These revolve around important concepts, such as heating and air conditioning repair, HVAC maintenance, and related items. On the other hand, the practical test covers specialty knowledge. The NATE Certification is the nation’s standard for technical knowledge regarding heating and cooling systems, and it’s a must-have for any reputable HVAC business. All experienced technicians theoretically have the same technical skills, but those who are certified will maintain the highest industry standards when it comes to keeping HVAC systems in good condition. It’s a guarantee that comes with this certification. NATE-certified technicians also show commitment to their professional training and support the industry’s steep quality standards. When you work with a certified technician, you will have peace of mind knowing that they’ll get the job done right the first time. At Bounds Heating & Air, we’re proud that all of our experienced and skilled technicians are NATE-certified. When it comes to HVAC repair, maintenance, and installation, you can count on our experienced team to deliver quality and knowledgeable workmanship every time. Call us today at (352) 472-2761 to learn more about our services. We are HVAC maintenance experts serving homeowners in Newberry, FL and other parts of Florida.